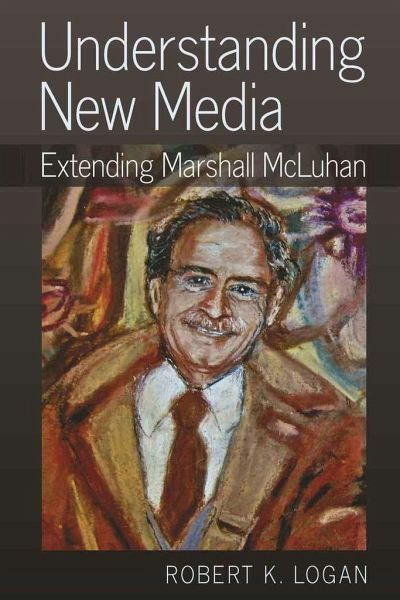 Marshall McLuhan made many predictions in his seminal 1964 publication, Understanding Media: Extensions of Man . Among them were his predictions that the Internet would become a "Global Village", making us more interconnected than television; the closing of the gap between consumers and producers; the elimination of space and time as barriers to communication; and the melting of national borders. He is also famously remembered for coining the expression "the medium is the message". These predictions form the genesis of this new volume by Robert Logan, a friend and colleague who worked with McLuhan. In Understanding New Media Logan expertly updates Understanding Media to analyze the "new media" McLuhan foreshadowed and yet was never able to analyze or experience. The book is designed to reach a new generation of readers as well as appealing to scholars and students who are familiar with Understanding Media . Visit the companion website, understandingnewmedia.org, for the latest updates on this book. Robert K. Logan is Professor Emeritus of Physics at the University of Toronto and Chief Scientist of the Strategic Innovation Lab at the Ontario College of Art and Design. He collaborated and published with McLuhan, which influenced this publication and his many other books including The Alphabet Effect, The Sixth Language, The Extended Mind, Collaborate to Compete and What is Information? He brings his experiences in politics and the business world to his understanding of media new and old. Contents: "New Media" and Marshall McLuhan: An Introduction - McLuhan's Methodology: Media as Extensions of Man and Mankind - Five Communication Ages: Adding the Mimetic and the Interactive Digital Ages - To What Extent Do the "New Media" Confirm or Contradict McLuhan's Predictions - The 15 Messages of "New Media": An Overview - The "Digital Economy": An Expansion of the Knowledge Economy - Scaffolding and Cascading Technologies and Media: Understanding New Media as the Extensions of Earlier Media or the Extensions of Extensions - The Spoken Word - The Written Word - Roads and Paper Routes - Number - Clothing - Housing - Money - Clocks - The Print - Comics - The Printed Word: Books and Libraries - Wheel, Bicycle, and Airplane - The Photograph - Press (or Newspapers) and the News - Motorcar - Ads - Games - Telegraph - The Typewriter - The Telephone - Impact of the New Media on the Telephone - The Phonograph and New Modes of Recorded Music - Movies and Digital Videos - Radio - Television - Weapons - Automation (Plus the Factory) - Hybrid or Convergent Technologies - The Multifunction Printer, Photocopier, Scanner, and Fax - Personal Computers - The Smartphone - Computer Software - Computing - E-Mail, Instant Messaging (IM), and Short Message Service (SMS) - Bulletin Boards, Usenets, Listservs, and Chat - The World Wide Web - Social Media Including Twitter, Instagram, and Snapchat - Blogs - Search Engines Plus Google and Libraries - Video Conferencing and Web-Based Collaboration Tools - Virtual Reality (VR) and Simulations - Robots, Bots, and Agents - Artificial Intelligence (AI) and Expert Systems - "Smart Tags" and Dataspace - Enabling Technologies Not Dealt With in Understanding Media.